We’re over 35 years old! 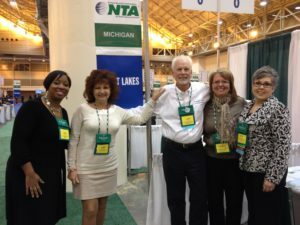 Over 35 years ago, the first marketing organization in the U.S. dedicated to promoting group travel was born. We did it first, and believe no one does it better. 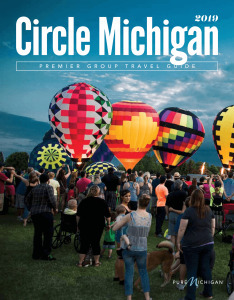 Help us stay on top by making Michigan your top group tour destination! Surrounded by four of the five Great Lakes, Michigan is a freshwater lover’s dream. Splash around by canoe, personal watercraft, or sailboat while soaking up the experience of a lifetime. Landlubbers needn’t fear, with plenty of enticements beyond the beach at shops, restaurants, riverwalks, museums, wineries, breweries and lodgings. For adventure-seekers, there’s no shortage of river-rafting and rock-climbing spots. If winter sports strike your fancy, snowmobiling, skiing, snowshoeing and dog-sledding havens abound. Challenging golf courses, spectacular scenic drives, winding coastlines and charming harbor towns are more reasons we know you’ll love it here. Hear the rumble of Detroit’s motors and feel the beat of Motown music. Find the perfect gift in Frankenmuth and see how Grand Rapids is redefining cool. Whether in Traverse City, Alpena, Sault Ste. Marie or elsewhere in Michigan, relaxing days and exciting evenings are never far away. Let us show you a few of our favorite things.